Both weeks of the Power of Mindsets are sold out. Please call to be placed on the waiting list. 781-449-4010 x101 or x102. Engage in intensive training to change mindsets to create a more positive school climate and better motivated students. From July 6-9, 2015 or July 28-31, 2015, Learning & the Brain is offering a Summer Institute in the heart of Boston. This Institute will examine the concepts of student engagement, motivation and resilience through the lens of “mindsets.” An understanding of the relationship among these concepts will allow participants to design and implement strategies that help to create a positive school climate. The mindsets of effective learners and effective educators will be identified. Techniques for lessening burnout will be described. Lectures and case examples will be used to facilitate discussion of the various concepts and arrive at realistic, practical interventions for reinforcing a “motivating environment” in the school setting. The Institute is designed to be an intense, hands-on workshop and is limited to 40 participants. Active participation is expected throughout this Institute. Hands-on activities to manage specific students or school-wide issues will be blended with the instructor imparting information through a lecture and dialogue format. Participants will be expected to bring in material and questions from their own experiences to share with the group. This Learning & the Brain Summer Institute will be led by Dr. Robert Brooks and assisted by Dr. Suzanne Brooks. The program is designed to help individuals and school teams develop the knowledge, skills and strategies necessary to change mindsets in schools to improve academic performance. The Institute will especially emphasize how to reach students and nurture motivation, self-discipline, hope and resilience. The program offers participants an intensive professional development experience, drawing on the work of Dr. Robert Brooks and his experience working with educators and students. This course is designed for educators with no prior background in neuroscience. The sessions will take place in the Boston Park Plaza Hotel where participants will also be housed. Robert Brooks, PhD, is a psychologist on the faculty of Harvard Medical School and former Director of the Department of Psychology at McLean Hospital, a private psychiatric facility. His first position at McLean was as principal of the school in the locked door unit of the child and adolescent program. Dr. Brooks received his doctorate in clinical psychology from Clark University and did postdoctoral training at the University of Colorado Medical Center. He has lectured nationally and internationally about the themes of school climate, motivation, family relationships, education, resilience and achieving balance in our personal and professional lives. He has also written extensively about these topics. He is the author or co-author of 15 books including The Self-Esteem Teacher, Raising Resilient Children, Nurturing Resilience in Our Children: Answers to the Most Important Parenting Questions, Raising a Self-Disciplined Child, Handbook of Resilience in Children, Seven Steps to Help Your Child Worry Less, Angry Children, Worried Parents, Understanding and Managing Children's Classroom Behavior: Creating Sustainable, Resilient Classrooms, The Power of Resilience: Achieving Balance, Confidence, and Personal Strength in Your Life and A Pediatric Approach to Learning Disorders. Dr. Brooks has received numerous awards including a Gubernatorial Award for Distinguished Public Service for his work with the Governor's Alliance Against Drugs, "Hall of Fame" awards from both CH.A.D.D. (Children and Adults with Attention Deficit Disorders), a Special Recognition and Media Award from the Massachusetts Psychological Association, The Lifetime Achievement Award from the Prentice School in Santa Ana, CA for his efforts on behalf of students with learning differences and the Distinguished Leadership Award from Learning Disabilities Worldwide. Suzanne Brooks, PsyD earned a certification in School Psychology and a masters in Early Childhood Psychology from Fordham University and a doctorate in School/Clinical Child Psychology from Yeshiva University's Ferkauf Graduate School of Psychology. She completed a postdoctoral fellowship in Child and Adolescent Psychology at McLean Hospital in a partnership with Franciscan Hospital. After her Fellowship, she was a staff psychologist at McLean Hospital's Kennedy Hope Academy, a residential program for children with autism spectrum disorders and behavioral difficulties. Currently, Dr. Brooks divides her time as a school psychologist in the Weston, MA Public Schools and in private practice. She conducts neuropsychological evaluations, sees children and adolescents in therapy and consults to families and educators. She co-authored a chapter with her father-in-law, Dr. Robert Brooks, titled "The Power of Mindsets: Nurturing Engagement, Motivation, and Resilience in Students." This program provides a total of 20 hours toward professional development credit for various professionals. For details on credit offered, visit our CE credit page or call our office at 781-449-4010 ext. 102. Interaction between faculty and participants outside the classroom is an integral part of the Institute. To foster this total immersion learning environment, participants are housed in their own rooms at the Boston Park Plaza in Boston, MA. 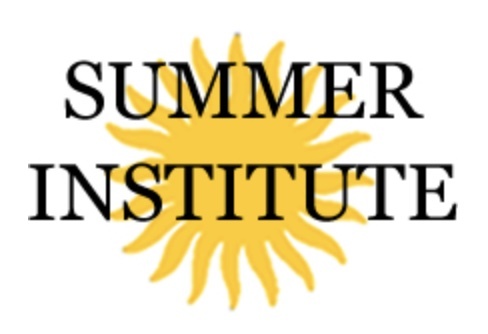 The Institute provides three nights lodging with an arrival date of July 6 and departure date of July 9 or an arrival date of July 28 and departure date of July 31. The hotel is located one block from the Boston Public Garden and close to the historic Back Bay section of Boston, the Boston Common and the Theater District. The hotel is ADA compliant. If you are interested in making your own accommodations or would like to extend your stay at the conference hotel, please call us at 781-449-4010 x 101. Please check the online schedule for information on the meals provided.